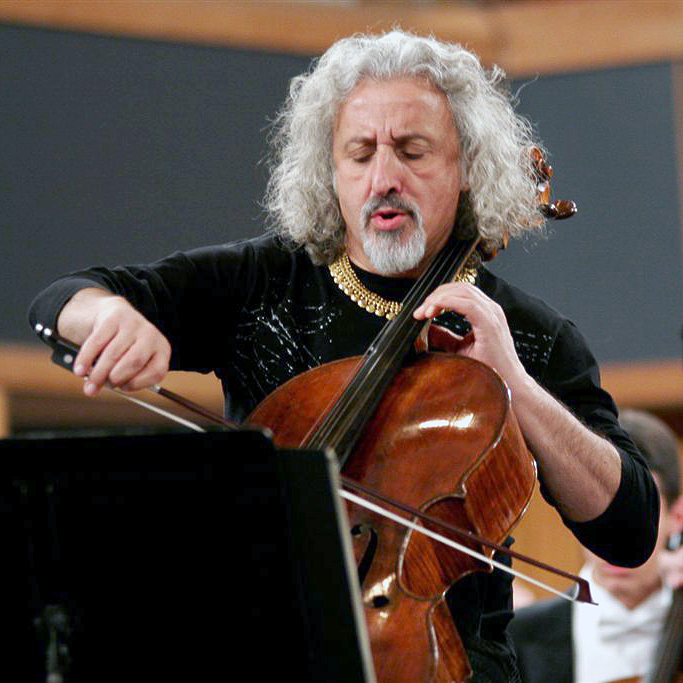 Phenomenal cellist Misha Maisky was born in Riga, Latvia, in 1948. His cello studies took him to Leningrad and eventually to Moscow, where he studied at the Moscow Conservatory with Rostropovich. Maisky's sister had earlier emigrated from the Soviety Union to Israel with her family, and the Soviet authorities suspected that Misha would eventually do the same (a suspicion that was, indeed, accurate.) This, in Maisky's own words, "annoyed" the Soviet authorities, and since Maisky was determined to finish his education at the conservatory before leaving the Soviet Union, they did everything they could to disrupt his progress. Concerts were canceled, trips outside the Soviet Union were prohibited, and life was generally made difficult for the budding cellist. Maisky was undeterred, and he relates in this fascinating clip on the WQXR blog that eventually a plot was hatched to arrest and imprison him before he could finish his degree. World renowned violin soloist Joshua Bell, known for his distinctive good looks, was recently the victim of a daring hotel room robbery. While performing in the town of Zaragoza, Spain with the London Philharmonic, Bell stayed in a 5-star hotel room. During Bell's evening performance with the orchestra, an impersonator managed to convince hotel staff that he was Bell, and having lost his keys, needed help accessing his room. Once in the room, the Bell impersonator took off his clothes and donned a towel. He then contacted the front desk, complaining that he was having difficulty accessing the room safe. When a hotel representative arrived at the door, the thief answered wearing the towel, and his casual, just-out-of-the-shower appearance convinced the staff person that an ID check was unnecessary. Once the hotel representative had opened the safe, the thief cleaned it out, stealing Bell's $38,000 watch, a laptop, cash, and other personal belongings. In a statement, Bell said he was "amazed at how easy it was for this to occur," and he's probably right that security should have been tighter. But we can at least be thankful that his 4$ million dollar Stradivarius, the Gibson ex-Huberman, was safety tucked under his chin during a performance, rather than resting in the hotel room. 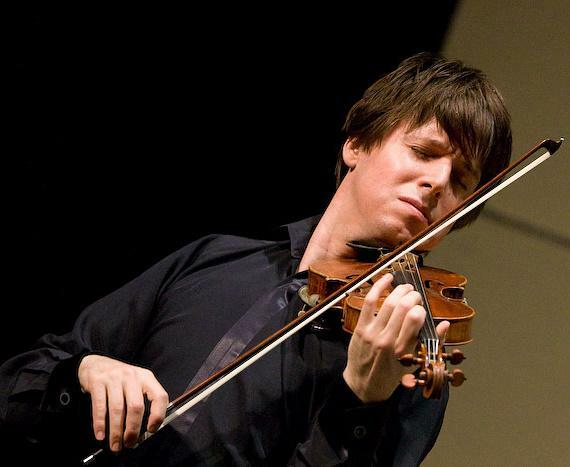 It would be a tragedy if Joshua Bell lost the instrument he so masterfully performs on. We can probably rest assured that security is a bit tighter at the hotel in Zaragoza, and hopefully the naked-towel thief won't be able to strike again.